Cost $100.00 each all inclusive. Dress: RAAF Winter Mess Dress, Dinner Suit or Lounge Suit (with miniatures). 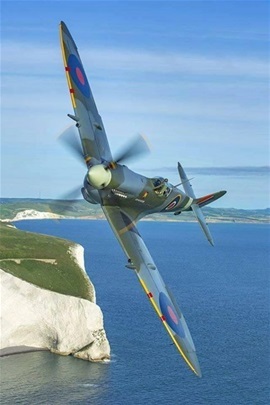 Over a number of years Rolls Royce have provided splendid support by way of substantial sponsorship to the Battle of Britain annual commemoration. Each year one of their overseas executives attends along with their Australian representative, Air Vice- Marshal Roxley McLennan AO. In 2017, the Comapny sent Mrs Louise Donaghey out from corporate headquarters in Bristol in the UK. The Tasmanian Division is very grateftul for this continued interest and support. The BoB Cenotaph Service on Sunday 17 September 2017 was well attended. Pictured are SQNLDR Alan Robertson of Hobart and WGCDR Jon Hough RAF from the British High Commission in Canberra. A number of Defence Attaches from Canberra attended the Wreath laying at the Cenotaph. Pictured from left are the USAF Air Attache, the RAF Air Attache and RNZAF Air Attache. SQNLDR Alan Robertson and WGCDR Ken Llewelyn caught up at the Dining In Night. Ken and Alan have worked together in RAAF with a number of projects over the years and took the opportunity to re-live old times. 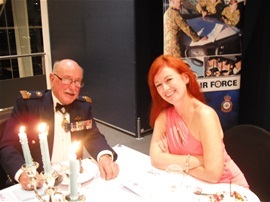 Pictured at the Dining In Night were WGCDR Andrew McHugh CO of SFS Amberley and his wife Sondrine. Andrew and Sondrine have been regular attendees for quite a number of years. SQNLDR John Delia from 21 SQN Victoria and FLTLT Carroll James of Hobart catch up for a chat over dinner.